A graduate in Nigeria can be given any of the NYSC Discharged certificate, Exemption or Exclusion Letter. Do you know the differences among these official merits awarded to Bsc and HND holders by NYSC? If no, this article stands to help. 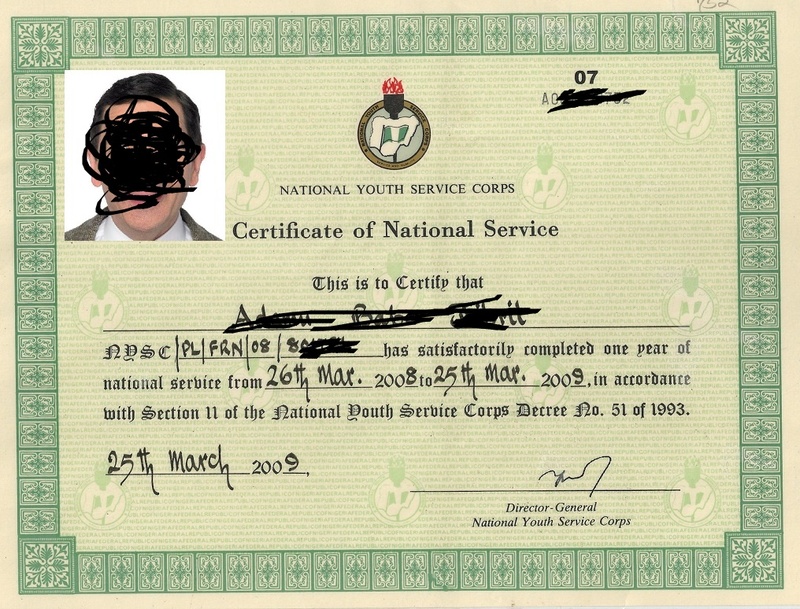 This is the official document printed and presented by the body to all “served” corps members. By the “served”, it means such a graduate had registered for NYSC mobilization, participated in the three-week camping and posted to a place of assignment where he had been serving for the past 12 months. Sample of NYSC certificate. Recent ones have passport while old ones didn't. After a year service at his or her place of assignment, NYSC organizes passing out ceremony. There, they award and present this certificate to him or her. This is awarded or given to a graduate who doesn’t participate in the one-year service. Such a graduate could not be mobilized because he or she is over-aged (i.e. above 30) as at time to register for NYSC mobilization. NYSC disallows graduates above 30 to take part in the one year programme of service. Hence, instead of giving them Discharged certificate (for the served ones), they are presented with Exemption letters. Meanwhile, such an over-aged graduates must equally register for the NYSC mobilization but will not be mobilized. His or her exemption letter will be delivered to the school. Hence, such a person may choose to pay for it online or wait for the school to receive it. Graduates of any university, polytechnics, distance learning centre etc for a programme that is part-time based, sandwich, distance learning etc are given exclusion letters. It doesn’t matter whether you’re over-aged or not. Once you didn’t graduate from a regular full-time course, you’re presented an exclusion letter instead. Graduates who belong to this category must equally register for NYSC mobilization online. They’re also to pay the exclusion fee on the portal or at bank. However, when NYSC starts to be mobilizing prospective serving corps members, their own letters will be ready for printing online. Such a letter will be printed from their NYSC dashboard in colour to be recognized original and official. Can I Do Masters (Msc/PGD) Before or During NYSC or at the Same Time?